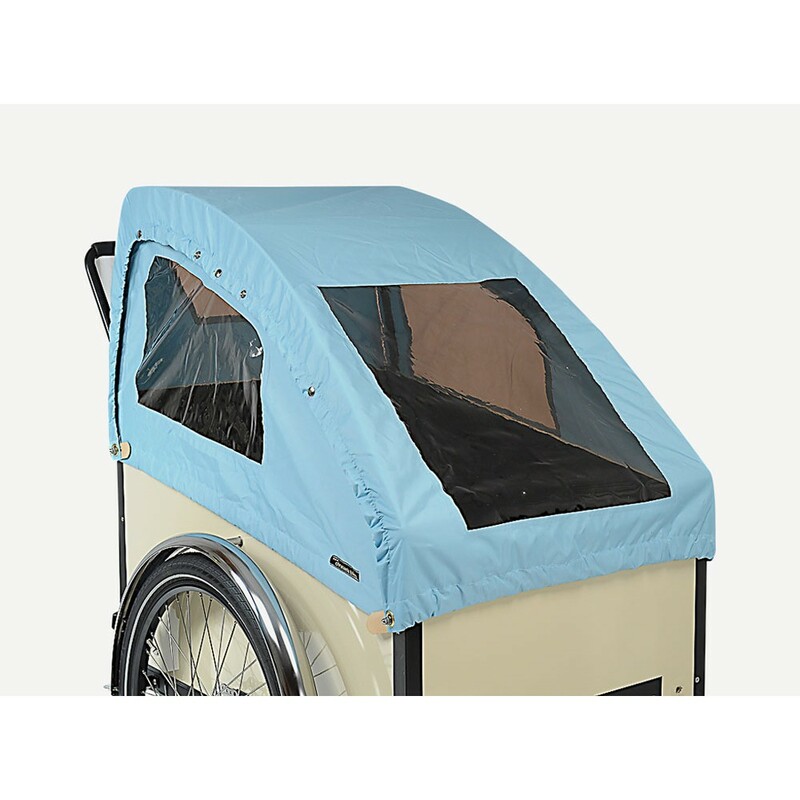 Hoods or rain covers are available for all our family and business cargo bikes. 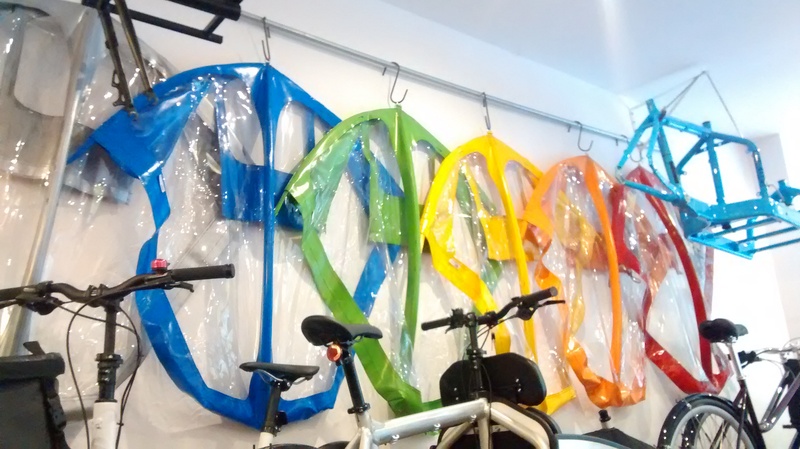 We have got some great colours that will enhance any bikes whilst keeping your precious cargo dry and snug. If you carry children, hoods are a great addition as they provide, not only warmth and rain protection but also their ‘own little house’. 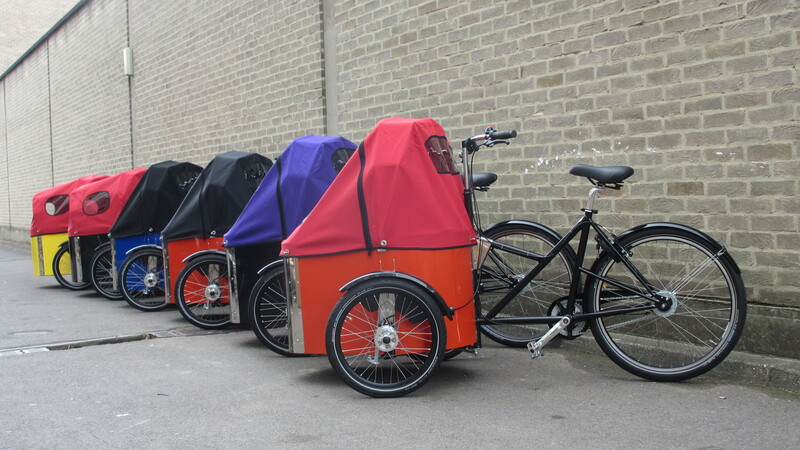 The Bakfiets hoods come in an array of beautiful warm colours as well as black. 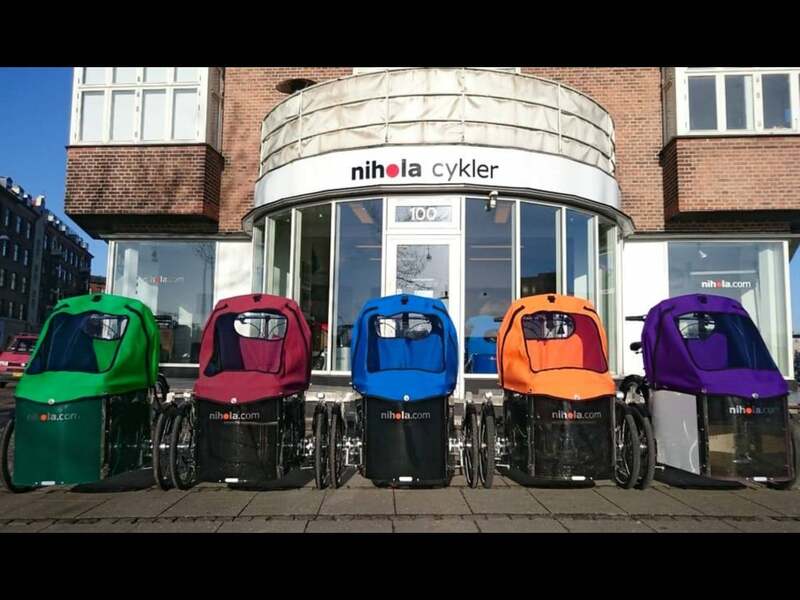 Nihola have 8 available colour hoods. We have many in stocks but we’ll be happy to order it for you if not. Depending on the model, Babboe rain tents come as grey, black, blue and red. Christiania hoods come in two shapes: the Bugatti and the Prairie. Both have the panorama option which offers a wider window on the top. Pick a colour between, blue, red, black, green and creme. There is also a the cork one. 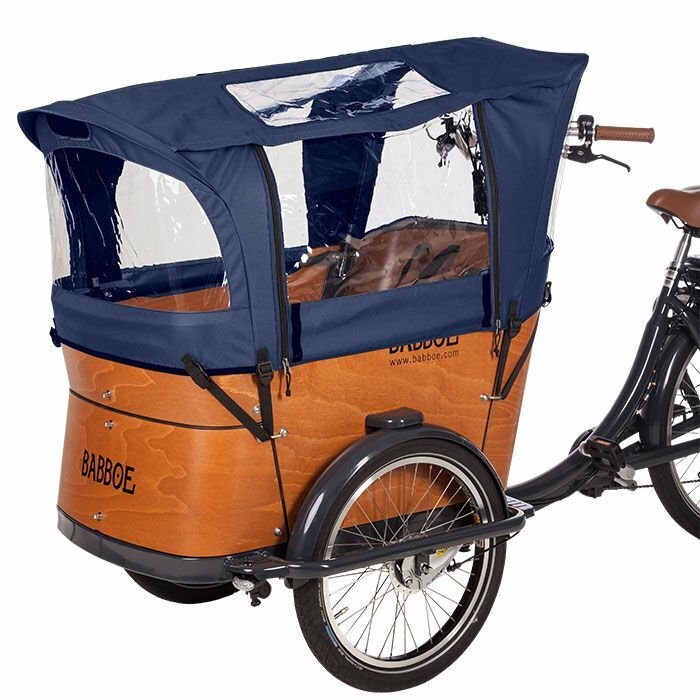 We also have simpler flat box covers for all models and overall covers for when the cargobike is stored away or overnight.